It has been quite a while since Intel’s much awaited LightPeak technology was introduced to consumers, originally in the form of Apple’s Thunderbolt interface. It is now in its third iteration, with Thunderbolt3 being 4 times as fast as the initial release. The newest version also changed the physical interface from Mini-DisplayPort to USB-C. This places us in that awkward phase where many Thunderbolt products aren’t backwards compatible with each other, and all of the ones that are require adapters. USB3.1 is in a similar place, with USB-C connectors replacing USB-A, but there are cheap cables that interface between them, there are just a lot of permutations to account for. While there were a small number of Windows systems with Thunderbolt2 ports, (primarily workstation products from HP and Dell) the PC world has been very slow to adopt what is viewed as a “Mac” interface. Part of this was probably due to high licensing fees from Intel, pushing developers towards USB3, similar to how USB2 overtook Firewire back in the day, due to Sony’s licensing fees. But Thunderbolt3 may change that balance. Officially released in spring of 2016, there are a number of Windows systems, especially laptops that already have the interface. But outside of PCIe expansion chassis, there have been few peripherals available for Thunderbolt 3 users. That may change now that Apple has finally released their first Thunderbolt3 device in October, the new MacBook Pro. The first significant announcements following the MacBook Pro introduction were new USB-C and Thunderbolt3 monitors. 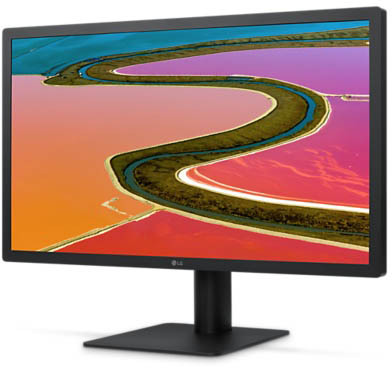 LG has a 21″ display with Cinema 4K resolution resolution that is only $525. 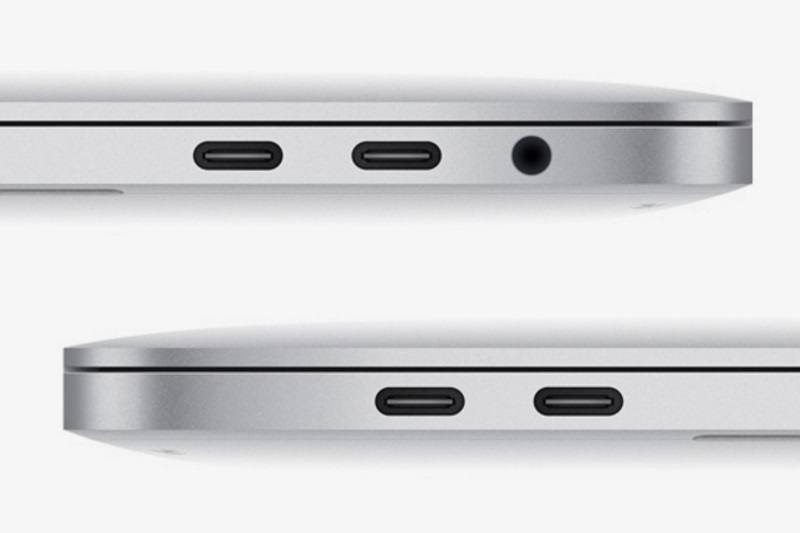 But it only inputs via USB-C, limiting its use in a professional environment, at least for the moment. (How do you connect it to your high end GPU?) LG’s new 27″ UltraFine 5K monitor runs on true Thunderbolt 3, and while it is designed for Mac, it should support Windows users too. Thunderbolt has always been a more natural fit for laptops, because desktop PCs have the alternative of PCIe cards for the same functionality in most cases. The primary focus of Thunderbolt3 on the PC side has been for connecting desktop graphics cards to gaming laptops. While using GPUs to speed up 4K rendering in Premiere Pro may require more than a PCIe x4 interface, most games are generating visual data from much smaller source files that can easily fit within the limitations of that interface. The simplicity benefits of having your powerful desktop system and your portable laptop being the same actual computer are enormous. And external GPUs will allow laptops to be even lighter weight while still seamlessly shifting into powerful rendering systems when you are at your desk. Beyond that, in the content creation world, onset media management now involves moving massive amounts of data around, so Thunderbolt allows portable solutions that still have the throughput for 4K and higher workflows. Storage solutions like Promise’s Pegasus and LaCie’s Big12 arrays, when combined with Thunderbolt media readers, or interface devices like AJA’s io4K, give high end users full workstation capabilities in a lightweight portable package. I found this quote in an unpublished post I wrote three years ago: “The only sign of Lightpeak becoming available on the PC side anytime soon is Sony’s implementation of it over a USB3 port on its newest generation of Vaio-Z series laptops, to support an external GPU and media bay. 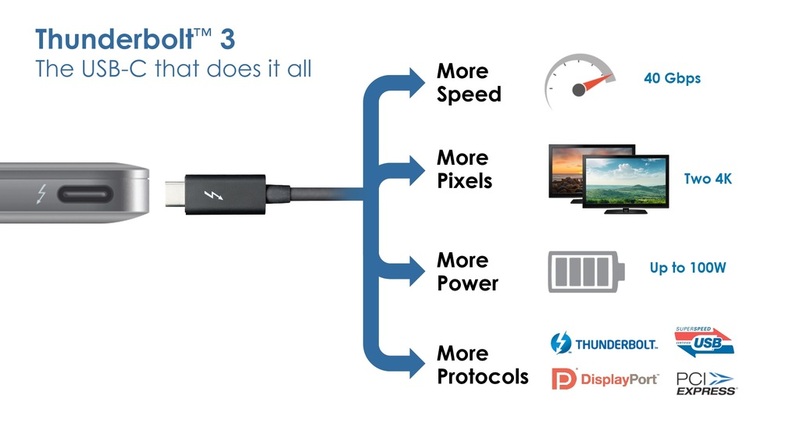 It will be interesting to see if the USB3 implementation of Lightpeak continues to be developed alongside Thunderbolt, or is totally replaced by it.” And with Thunderbolt3, USB-C is the new interface for Thunderbolt, so I guess Sony was ahead of the curve on that one.